There’s no getting around it. Whichever way you cut it, the fact remains that Hong Kong is a ridiculously expensive place to try to buy property. It always has been – but in recent years, as the deep pockets of wealthy Chinese investors have begun to have more and more of an impact, those prices have started to spiral out of control. Whether that price is prohibitive depends of course on your spending power – there will always be someone, somewhere with the necessary funds to buy into any market – but is Hong Kong property now becoming so expensive that it is out of reach of most investors? Last year, for the seventh year in a row, Hong Kong was named the home of the most expensive real estate on the planet. There are lots of reasons why this has happened – from the relatively small size of the island and the limited supply of available plots to build on, through to the land policies that many believe are also fuelling the price rises. These government policies – together with the ever high prices that many of the wealthiest investors can and will pay the government for land on Hong Kong Island – are driving remarkable price inflation. And those prices are worth reflecting on for a second, because they are incredibly high. For example, a flat on The Peak recently sold for HK$132,060 per sq ft while another in Harbour Glory went for HK$38,100 per sq ft. Both are desirable areas, but this huge rise in prices is a phenomenon that is happening right across the market. Overall, the trends are moving ever upwards too. Across the whole of last year, private residential property prices were on the rise, with costs jumping to 11 per cent at one point. Meanwhile on the rental side, the index which monitors prices in that area of the market also showed a rise of around 7 per cent. These are substantial jumps – but it is when you step back for a moment and view the bigger picture that the price rises really hit home. 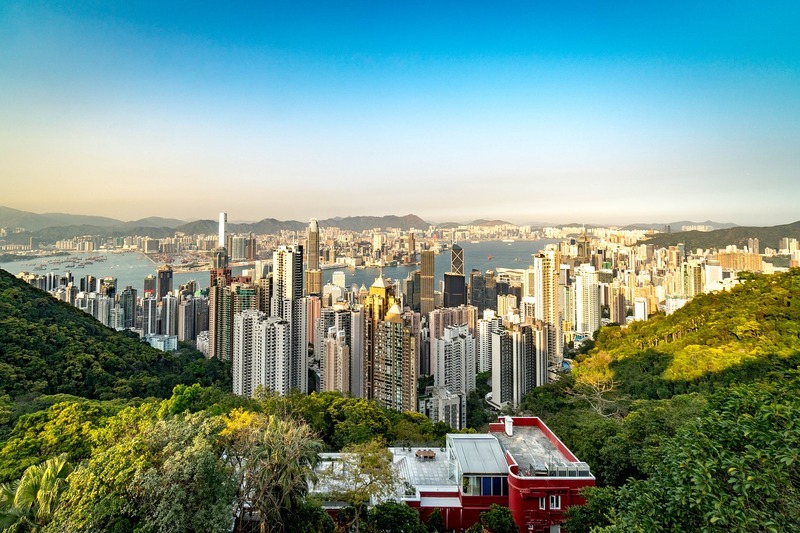 According to figures from the Demographia International Housing Affordability Survey, private homes in Hong Kong have leaped in value by around an incredible 430 percent since 2003. Obviously, that statistic is great for those investors who got in there early, all those years ago, but it also strongly suggests a market that is an extremely hard one to get a toehold in now, here in 2018. According to the Demographia report, Hong Kong now has the least affordable housing in the world – and the trends only seem to indicate that this will continue. Of course, driving much of this upward movement are numerous government policies that are forcing developers to pass the high prices on to buyers. Back in 2016, the government made an incredible HK$109.5 billion from selling residential and commercial land, and this financial year is set to be another record breaker. The cost of land can make up to 70 per cent of the final cost of a project, and an unfortunate consequence of these rising prices is that developers are attempting to squeeze ever more properties into less and less space – creating housing that is attractive only really to investors who can a) afford to buy it at the inflated prices, and b) who believe that their asset will grow in time. None of this is particularly of benefit to people who actually want to own their own property and live on the island affordably. Will any of this change? Maybe. But it will require a change in approach from the authorities – who simply sell to whoever will pay the most, rather than taking into consideration factors such as sustainability, or the quality of the built environment that they are asking people to buy into. At the moment, under the current conditions, only the super-rich can afford to buy homes of their own in Hong Kong that are of reasonable quality – while other, less wealthy investors are left to fight over what remains.